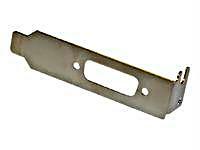 PNY Technology - 91005021 PNY TECHNOLOGY - LOW PROFILE BRACKET FOR NVS 290 VIDEO CARD (91005021). NEW. IN STOCK. SHIP SAME DAY.